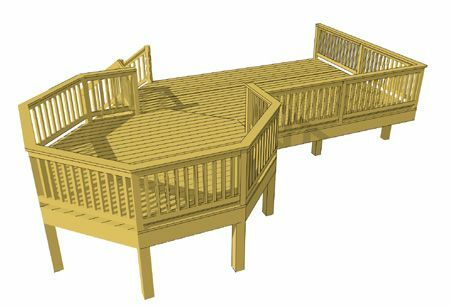 This 2 level deck plan employs a true 12' x 12' octagon that is elevated and symetrically set within a larger lower deck. 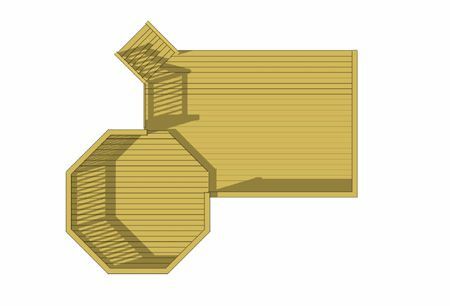 This deck is designed to be sited at the corner of a house. A set of stairs takes advantage of the corner house position by flaring around the house corner at an angle. 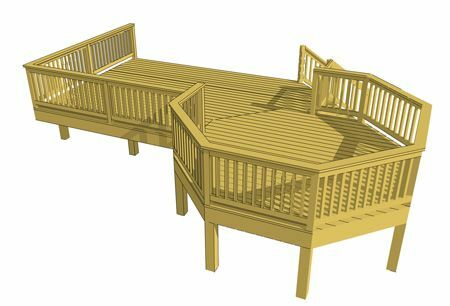 The deck levels are clearly established and can be used to satisfy different functions.